On Friday, the New Zealand Herald reported that John Key has yet again rejected research that contradicted what the governments’ position is – in this case on the lack of effectiveness of 90 day trial employments. “You can have a piece of academic research but it’s quite different from the small cafe owner whose money is on the line, who is taking the risks and who actually rely on this kind of policy. Mr Key seems to miss the point of research – that it is supposed to help us avoid making erroneous decisions based on anecdotal evidence for example, that based on the experience of a single small café owner. Of course this is not the first time the Mr Key has dismissed inconvenient research, having dismissed the work of Dr Mike Joy during a BBC interview in 2011. The particularly galling thing about this dismissive approach to research, is that this government purports to want an evidence based approach to their policies, which those in the health and education sectors are probably well aware of. If you want an evidence based approach used in government departments (which is a great idea) then it really needs to start from the top. I agree with what you say in the blog. I think the law was an ideological instrument to shift risk from employer to employees, and the ‘increased employment’ argument, subsequently demonstrated to be false, was just an appeal to the masses to mask the ideology. It would be good if such an appeal was not used where there is no evidence for it. I don’t know much about this stuff, but it reads to me like Michael Edmonds is somewhat misrepresenting the words of John Key, relating specifically to the hypothetical “small cafe owner”. Michael says “anecdotal evidence for example, that based on the experience of a single small café owner”. SINGLE small café owner?? I don’t think Key was thinking of any particular small café owner, it was just a metaphor for small business owners, in general, who take a risk when hiring a new employee. Furthermore, the fact that there is no significant INCREASE in employees being hired is hardly surprising! The effectiveness of the 90 day trials would be better demonstrated by a significant DECREASE, i.e. employers ditching unsuitable candidates within the 90 days. Why is it so difficult for people to understand what each other is saying? Thinking a bit more about this, I guess that the idea could be that the risk of hiring unsuitable people discourages small business owners from hiring more employees and/or discourages people from becoming small business owners. I can understand the government wanting more small business owners and more employees per small business owner. That sounds like a plausible motivation for the 90 day trials, if they thought that would be the outcome. 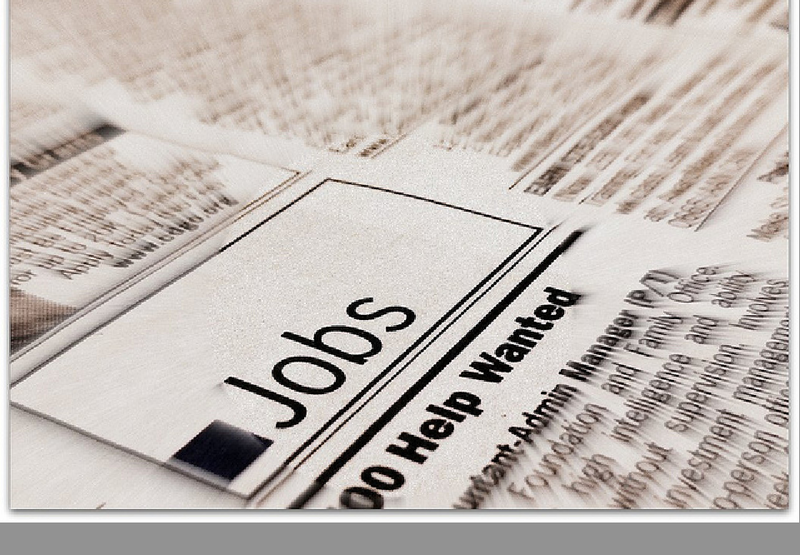 The research appears to show no significant increase in employment. John Key appears to respond by saying “well, maybe that’s right, but we still want to take the risk away from small business owners anyway”. Why? I’m not sure. Presumably, the 90 day trials could result in an increase in competence of the workforce, which might be a good thing. At any rate, the results of the research might not be what it seems. Every unsuitable candidate ditched within the 90 days negates one extra employee, and the research (I haven’t looked at it) might not consider an increase in people becoming small business owners when the risks are lowered. I think that John Key is correct to not uncritically accept one piece of research, when the situation may well be a complex one. I think John Key’s dismissal of the report was quite blunt and disingenuous by the way that he contrasted academic research (coming straight from the Ivory Tower) with the ’real-world’ experience from the labouring small guy who puts his livelihood on the line each time he hires new staff. The metaphors and rhetoric are clearly aimed at creating a certain attitude and response and it exudes a deeply held bias. It is very disappointing that the Prime Minister yet again chooses to dismiss a scientific report and the integrity of the data (and scientists) for the sake of political expediency. This law coincides with the difficulty that employers are starting to have finding good staff, especially technical staff. Why give up a safe job with benefits for a 90 day gamble where you could be got rid of with a week’s money with no reason given? Your mortgage could be defaulted within the month. A friend was offered a job with better pay and responsibilities but the contract had a 90 day one week termination clause. The contract also said that she should take advice before signing… so she did. The lawyer said that she should not ever consider signing such a contract as it was so disadvantageous to her. She would be swapping certainty for uncertainty. She passed these comments back and the HR department promptly struck out the clause. She accepted the job. Maybe there is a lesson there for all the companies who are finding it hard to find quality staff (the best of whom are generally working for someone else). It may be fair enough for Key to point to the limitations of academic research in real world contexts. Such research must make simplifications from real world complexity, and such research typically only looks at a short time span, whereas it could take decades to show an increase in people becoming small business owners. While it is reasonable to point out the limitations of academic research, I don’t think it is reasonable to dismiss academic research in favour of anecdote. But Key didn’t point out the limitations of the research; he dismissed it offhand and said “we just fundamentally disagree with the research”. I don’t see why you, just like Key, make the distinction between “academic research” and “real world contexts”; the research was as real-world as possible, using a purpose-built database with recent, relevant, and real-world data, not some kind of theoretical treatise or simulation with virtual data. I also don’t understand why you need to support your comment with generalised statements about long-term effects, simplification versus complexity, while we’re obviously discussing a specific piece of research with clearly-defined questions and well-documented answers & conclusions based on sound methodology. You’re absolutely right that the validity of any scientific study has limits & conditions but this is not the primary argument here and thus (largely) irrelevant IMO. Employers will want to hire staff, so if a trial applicant is competent, then they should not need to worry. I have seen too many employees (entomologists) around here of “unremarkable” competence, but not easy to get rid of, so occupying rare positions for decades without doing anything particularly useful. I have seen too many employees (entomologists) around here of “unremarkable” competence, but not easy to get rid of, so occupying rare positions for decades without doing anything particularly useful. This is the opposite of hiring “new staff” and not the subject of the 90-day trials. My reply: I don’t think that is what John Key did! There is no anecdote! Where do you see an anecdote?? Key was just saying that small business owners are being discouraged by the risks of hiring unsuitable staff, and (implicitly) that the one piece of research in question hasn’t really addressed that problem fully. ” the small cafe owner whose money is on the line, who is taking the risks and who actually rely on this kind of policy” comes across to me as an anecdote. @Michael Edmonds Not to me. I read it as a clumsyish way of making a general point about small business owners and risk. @Frederik Pruijn In a way I am talking about something different, but in a way not. In general, both are about competency in an employed capacity. Although the 90 day trials won’t prevent those who are well beyond their 90 days becoming complacent, the trials might still go some way to increasing the overall competency of the workforce. Heh. Nothing like making “informed” comment eh Stephen? Just like John needs a lesson in reading as well before anecdotally misinforming the public yet again. He didn’t anecdotally misinform the public in this case. Perhaps you would like to explain your comment? I don’t need to look at the research to make my point, which is simply to disagree with the main claim of this post, i.e. that Key is somehow unjustifiably rejecting “inconvenient” research in favour of anecdote. The Govt. is simply not uncritically accepting the results of one piece of research. They don’t spell out the details of why not, but I’m picking that it is because the research is based on assumptions and simplifications and isn’t based on a long enough term study. PS: Just to be clear, what I am trying to say is that there seems to me to be insufficient evidence for the claim that Key is somehow unjustifiably rejecting “inconvenient” research in favour of anecdote. Sure, Key hasn’t helped the situation by not going into detail about why the govt. rejects the research, but such a complex issue would probably be out of place in the context of the discussion in which Key is quoted above. One piece of research does not necessarily settle the issue. So, I am suggesting that the blog author is rejecting “inconvenient” govt. decisions in favour of one piece of research! The phrase “but it’s quite different from the small cafe owner whose money is on the line” is either an anecdote or a made up example by John Key to try and make his point. This government decision is not at all inconvenient to me. What I am pointing out is that John Key is rejecting a piece of research for no other reason than it is inconvenient for him! Or a clumsy way of making a general point that the risk of hiring unsuitable employees is discouraging people from becoming small business owners (“whose money is on the line”). It is neither anecdote nor made up example. Key may not know much about science, but he probably does know a bit about owning businesses. As I said, a full explanation by Key would probably be too complicated in the context in which he spoke, but do you think he should immediately can the 90 day trials just because one piece or research suggests that it isn’t having a significant effect? I don’t. I see no evidence to suggest that the govt. didn’t duly consider the research before rejecting it. Disagree based on what? That he didn’t like the results of the research. I do think that the 90 day trials are, from Key’s perspective, less about making it more likely for people to be employed who would otherwise miss out (which I think is what the research looked at), and more about creating a better environment for small business owners, presumably because this will encourage more small businesses to start up and existing ones to hire more staff, but I don’t think it is as simple as an employer thinking “well, I wouldn’t look twice at this applicant, but I’ll give ’em a go since I can always get rid within 90 days if things don’t go well”. It is more subtle and long term than that.